How we plan to creatively express God's love moving forward. Watch the Vision Sunday Message! Our mission here at Severn Run is to make as many disciples as possible by creatively revealing the love of the Father through the life of the Son in the power of the Spirit. God has wired each one of us to reveal a specific quality of Himself and to perform a certain work to further His Kingdom. He's placed a unique gifting and passion in your heart that will help reveal His love to the people around you. You are a vital piece of Severn Run, and we cannot fulfill our mission and vision without you! Ready to learn what's ahead? You've heard us say it, "Life is better connected!" But what the heck does that mean anyway? For lots of people staying connected can feel like just another thing on the calendar, but our Connect Ministry is out to show you it's worth every second you invest. The Connect Ministry is totally revamping this February to introduce The Connected Life network of groups, ministries, and classes.  The purpose behind this ministry is to allow people to unleash their God-giftings for the benefit of others around them, and for Severn Runners and our surrounding community to find meaningful relationships with one another through a variety of expressions facilitated by Severn Runners. On February 17, we are going to give you all of the details as well as ways that you can plug in to this new model. Connect is also going to begin focusing on starting relationships on Sundays in the Worship Center as well. Our all new Care Team will be launching soon to ensure that every person who worships with us on a Sunday shakes a hand and learns a name while they are on our campus. We envision strong relationships forming, simply because of the seat you chose. If you're interested in helping us launch this all new ministry, contact Amber Sanders. Why did people believe in Jesus? Because they saw and heard Him and then felt His direct love for them through His actions. As Jesus' Church we get to be an extension of His ministry here on Earth. Jesus took time to notice people and then offer them a solution to the struggle they were facing. All of this action pointed people into a loving, believing relationship with Him. 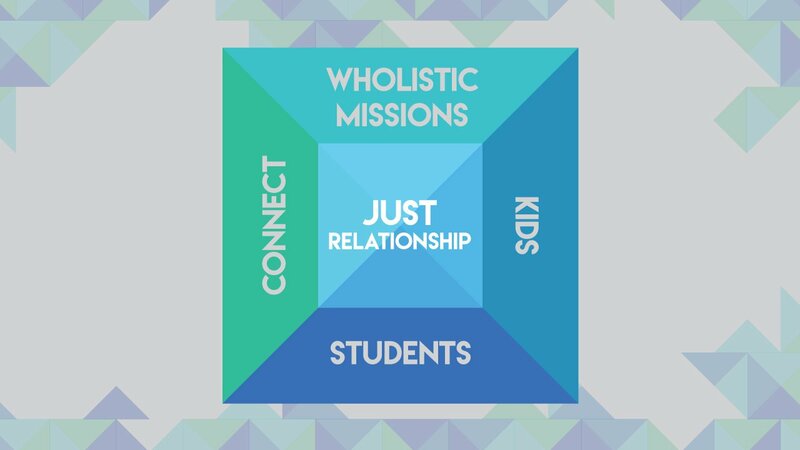 Wholistic Missions, also known as Integral Missions, is simply your active love for God translated into an active love for people. This love notices, empathizes, and acts on the behalf of others. We will continue to support existing expressions, and help launch new expressions of Wholistic Missions as part of our 2019 Vision. In Matthew 19, Jesus made a clear statement by giving His time specifically to young kids who wanted to be near him. He even went so far as to say that if we want to enter His Kingdom, then we must become like little children (Matthew 18). God has placed a unique reflection of Himself in each child you see every day. As Christ-followers, it's our job to look at each child curiously and optimistically wondering what quality hides in their small souls. And as the Spirit reveals Himself in that kid, we get to nurture that God-quality and calling in their lives. So many times, these God-qualities are stomped out early, neglected instead of nurtured. We get to bring out God's best in our youngest! In 2019, our Kids at Severn Run ministry is taking on new expressions. From a remodeled preschool area, to a brand new curriculum created in-house by the staff and volunteers who know our kids best, we are striving to improve our Kids experience in bold new ways. Middle and High School students today are growing up with the world literally at their fingertips. Everything and everyone feels instantly accessible through the touch of a button. However, we are discovering that this digital connectedness isn't leading to genuine feelings of relationship. Students today are lonelier than ever before and experiencing higher rates of anxiety and depression than previously documented in human history. Many students go unnoticed by everyone around them, even their parents! Here in Maryland, we see a lack of thriving Student focused ministries aimed at offering practical solutions and spaces for our local students. At Severn Run, we are going to be making some big changes in our Student Ministry aimed at embracing students for who they are and empowering them to lead Christ-change in their own lives and the lives of those around them. We believe that those God-giftings they carry can be called out now, and they can be given meaningful roles of service and connection in the context of the Church and greater context of God's Kingdom. By sparking these young leaders, we can reverse the trend of church drop-out and disconnectedness as they become young adults. Follow Our Students On Instagram! Ephesians 2:10 says, "For we are God’s masterpiece. He has created us anew in Christ Jesus, so we can do the good things he planned for us long ago." You are God's wonderful and unique masterpiece! He's wild about you and He's placed in you a unique reflection of Himself. That unique reflection is perfectly poised to carry out a work that helps God's Kingdom come here on earth, and all you have to do is take steps of obedience to unleash that gifting. 1 Corinthians 12:12 says "The human body has many parts, but the many parts make up one whole body. So it is with the body of Christ."  We'd encourage you to go check out this whole passage soon, but here's what this means for Severn Run: we recognize that only a small percentage of Severn Runners are living out their God gifting here at Severn Run. This means we are running around without a lot of our body parts functioning! (Can you hang on through this metaphor for us, we promise it's Biblical 😂). Our 2019 Vision is designed to help every Severn Runner unleash their God-giftings in powerful ways, which will allow us to become the full body of Christ here in Severn. Maybe you're a baby-whisperer? you calm any tantrum and ease any mother's anxieties. Maybe you're attention to detail is refined? You notices the smallest speck out of place, and you're able to quickly correct it. Maybe you're able to inspire and move people towards a goal? You can start things and finish them and create a team around it. Whatever you've notice that you're naturally good at, we want to nurture here at Severn Run for the advancement of God's Kingdom. How can you start? First follow the link below to sign-up for a serving position or to start a conversation about where you might best fit. Then ask God to show you His plan for your gifting and for your life. We know He will show you amazing things if you're willing to see them. Recognize that God loves you first because you're His well-loved kid. You alone are enough for the love of our Father. Then live out of your identity as His well-loved kid by unleashing that "good thing" He planned for you long ago to the benefit of those around you. We are ready for 2019 and beyond. We see a community changed. We see God's love revealed and expressed in powerful ways. We see you as a part of this. Do you? Didn't See What You're Looking For: Start Something New! Copyright 2019, The Church at Severn Run. All Rights Reserved.